No matter how good the coffee, once ground, the quality of the flavour deteriorates immediately after grinding. We’re talking about seventy percent of the flavour gone within thirty to fourty minutes! Now that’s a significant flavour loss. One can easily put forward the case that if you are buying ground coffee from a supermarket, it is probably already some weeks old. You then use a little and toss the pack into the cupboard. I could go on but I’m sure you get the point. Even with vacuum sealing, tinned packaging and valve bags, your lovely coffee flavour is at significant risk. 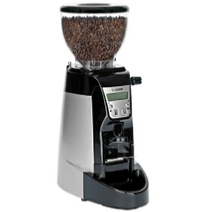 For just a few hundred rand, there are home-quality coffee grinders available. These vary in quality and price from the simple blade-chopper; the hand-grinder which can be quite hard work and to our recommended grinder for home use, the Krups grinder. This is available from from Boardman’s online; Yuppie Chef and others for around R700. Coffee - sad but true! If we go back to the high-lighted text above, why do shops even have ground coffee on their shelves? The other day I visited a popular supermarket chain, one known for their reputation of good quality. I was horrifies when I saw ground coffee on the shelf, loosely packed not vacuumed, with a sell-by date of 6 months away! Sadly, there are no rules it seems, on what coffee roasters HAVE to put on their products as regards expiry dates or sell-by dates. Coffee is not a product that perishes to a point where it is bad for you - those in the know, will however be able to taste a marked flavour loss in both beans and in particular, ground coffee. It seems that the general consensus amongst those in the know is that the beans are best consumed within 7-21 days of roasting and the ground well…if you don’t have a grinder, look for those tightly packed options. These have been vacuum packed and will hold their own a little longer. 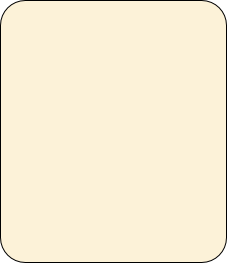 Once the pack has been opened however, please use this as soon as possible in order to get the most enjoyment from your cuppa. As with almost every food product, whether raw; cooked; grown; dried; baked or braised, the quality starts deteriorating once it leaves a production line. This is one of the many reasons why the coffee lovers out there are starting to amongst you are turning toward the artisan, or local roaster. In general, the locally roasted option reaches you within a few days or weeks from when it is roasted. One can but imaging the logistics of bringing a bag from Europe. From factory to container; from container to warehouse 1, 2 and possibly 3 and then a week or two on a shop shelf. You work it out. Even under the title “Arabica.” You get beans and then you get well, beans. Lets suppose a well known company boasts 100% Arabica, some beans cost a third of the price of others. Some are top rated and some are, to put it bluntly, cheap rubbish. These are often hidden in a blend and often over-roasted to camouflage the bean flavour underneath a roast strength. Try them all and you will taste a difference. As far as your local artisan roaster in concerned, you can generally feel quite confident that the beans are of a high quality.